Under Contract before Published. Quintessential Gorgeous Country Farm house surrounded by 35 peaceful acres complete with its own "mini" vineyard! Resting in the private gated community of Sedona Hills with spectacular rolling hills and rock outcroppings. 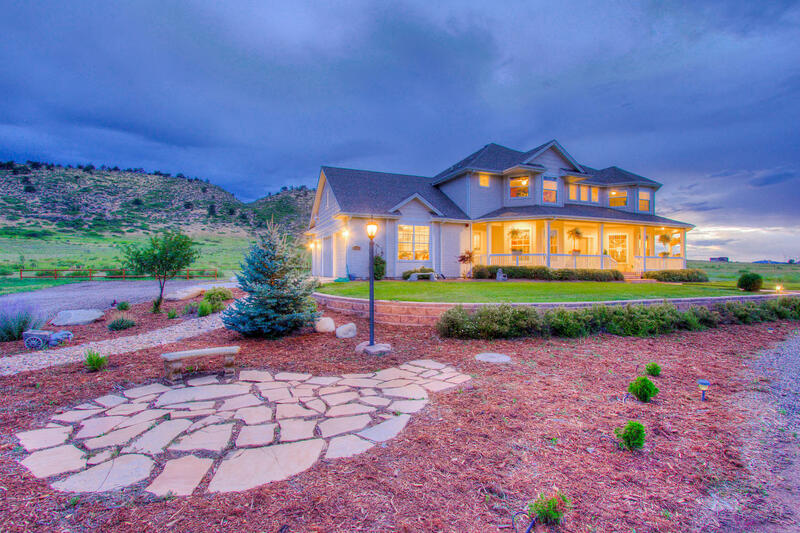 Gracious rolling foothill and pastoral views all around! Warm, Inviting and Filled with Natural Daylight -designed for comfort and entertaining. 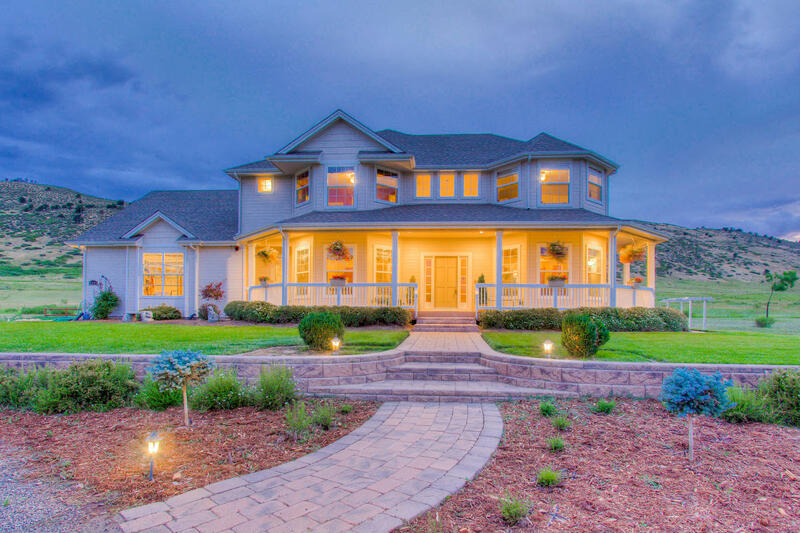 This beautiful custom home wasthoughtfully designed and built crafted by Tuscany Builders in 2007 to showcase the amazing location with Six large Bay windows, full spiral staircase in the foyer, and spacious bedrooms (both Master and Secondary Bedrooms. )3,165 finished square feet above grade and 4,559 finished square feet total with 4 Bedrooms up with 1 versatile main floor bedroom, study or craft room on the main floor. The upper level boasts pure function and comfort with 3 bathrooms with ample closet space and custom built-ins. Shiny wide plank character white oak solid hardwood flooring grace the entrance, hallway, kitchen and nook. Glazed Linen cabinetry with dove-tail joints fill the eat-in chef’s kitchen with a spacious island, and finished in slab granite, and full travertine back splash. Generously sized separate pantry, and formal dining room with coffered ceiling. Beautiful custom window treatments and lighting adorn each room with practical built-in shelving in the living room and three handsome gas fireplaces grace the family room, living room and cozy office space in the lower level. The Master Suite on the upper floor features a vaulted ceiling, large bay window with built-in window seat looking out to the amazing scenery and 35 acres. Slip away into the Master Bathroom suite finely dressed in all stone tile (travertine) and granite countertops (all bathrooms have granite countertops), full 5 piece suite with built-in shelving in the walk-in closet. Practical built-in cabinetry gracefully aligns the upper hallway – separately another spacious secondary bedroom. Outdoor living is one of the many hallmarks that this property features so well, with front and back sprinkler/irrigation –perfectly sited curb appeal with a circular driveway and oversized 3 car garage off to the south side of the property. Beautifully manicured grounds, enjoy the spacious back patio and built-in flagstone bench and eating area under the pergola! An amazing and unique feature – a gardener’s delight this property showcases a mini- vineyard just west of the home, fully irrigated with Reds and Whites (Geneva Red, Marquette, St. Croix and Frontenac) well maintained with wonderful detail on how to explore this amazing hobby or business. Horses and out buildings Welcome! Ideal for the detailed buyer, passive radon sleeve, high efficiency furnace, central A/C, Ample Storage, 3/4 plumbing rough-in basement. 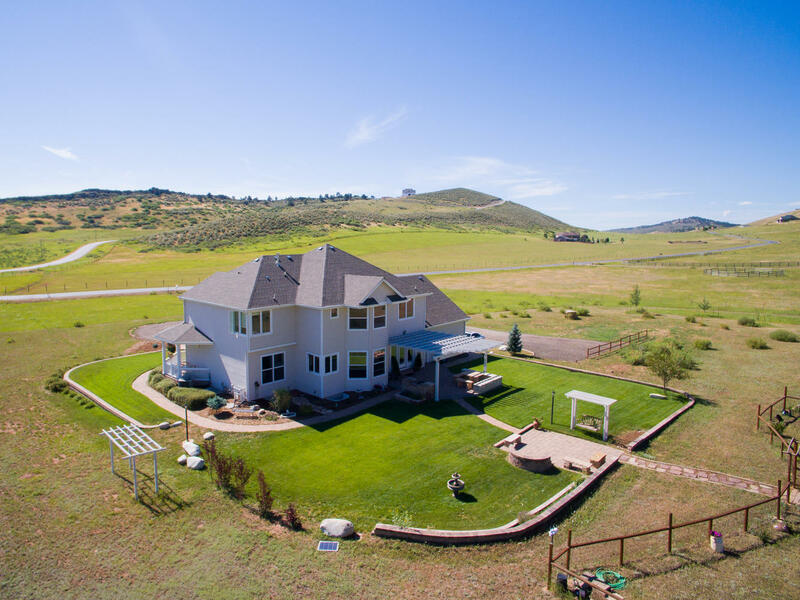 Quick easy access to 287, approximately 10 minutes to Loveland or 15 minutes Longmont.Permitted Bsmt 85% finished by original builder ceiling unfinished and yielding tax break. Beautifully done 2x6 construction and exquisitely finished! HOA is $400 annually for private road maintenance and management.